Appreciate the collections at Insomnia - The Haunted House and Armenian street. 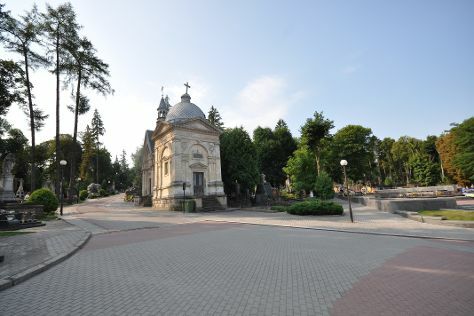 Get some historical perspective at Lychakiv Cemetery and Roman CatholicChurch of the Exaltation of St. Joseph. Get out of town with these interesting Lviv side-trips: Landscape Park Podgorye (in Truskavets), Church of the Nativity of the Blessed Virgin (in Sambir) and St. George Wooden Church (in Drohobych). There's much more to do: wander the streets of Old Town, make a trip to Lviv City Hall, step into the grandiose world of Pidhirtsi Castle, and admire the landmark architecture of Armenian Virgin Mary's Dormition Church. 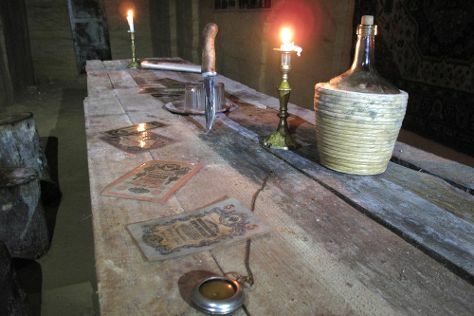 To see more things to do, where to stay, other places to visit, and tourist information, read Lviv online trip builder . Amsterdam, The Netherlands to Lviv is an approximately 7-hour flight. You can also do a combination of train and flight; or drive. You'll lose 1 hour traveling from Amsterdam to Lviv due to the time zone difference. In July, plan for daily highs up to 29°C, and evening lows to 15°C. Wrap up your sightseeing on the 5th (Fri) to allow time to drive to Chernivtsi. Chernivtsi is a city in western Ukraine, situated on the upper course of the River Prut. Get some cultural insight at Kamenet's Podolsky Castle and Church of Peter and Paul. Discover out-of-the-way places like Khotyn Fortress and Cathedral of the Saints Peter and Paul. 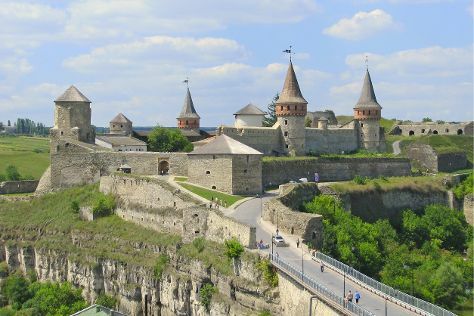 Change things up with these side-trips from Chernivtsi: Kamianets-Podilskyi (St. George Cathedral & Alexander Nevskiy Church), Chortkiv (Old Town Hall & Church of the Assumption) and Dniester Canyon (in Ivano-Frankivsk). There's more to do: take in the architecture and atmosphere at Church of the Exaltation of the Cross and get engrossed in the history at Museum of Bukovinian Jewish History. To see photos, other places to visit, maps, and tourist information, go to the Chernivtsi trip itinerary builder website . Getting from Lviv to Chernivtsi by car takes about 4.5 hours. Other options: take a train; or take a bus. In July in Chernivtsi, expect temperatures between 31°C during the day and 19°C at night. Finish your sightseeing early on the 9th (Tue) to allow enough time to drive to Vinnytsya. Vinnytsia is a city in west-central Ukraine, located on the banks of the Southern Bug.It is the administrative center of Vinnytsia Oblast and the largest city in the historic region of Podillia. Your inner history buff will appreciate Jesuit Monastery and St. Nicolas Wooden Church. You'll discover tucked-away gems like National Pirogov's Estate Museum and Science Museum. Next up on the itinerary: explore the world behind art at Vinnytsya Museum of Art, see human ingenuity at work at Sabarovskaya Hydroelectric Power Station, examine the collection at Vinnytsya Regional Lore Museum, and pause for some photo ops at Glory Memorial and War Memorial Park. For ratings, photos, traveler tips, and tourist information, use the Vinnytsya trip planner . You can drive from Chernivtsi to Vinnytsya in 4.5 hours. Alternatively, you can take a bus; or take a train. Finish up your sightseeing early on the 12th (Fri) so you can catch the train to Kiev. Do some cultural sightseeing at Kiev-Pechersk Lavra - Caves Monastery and Saint Sophia Cathedral. Let the collections at St. Michael's Golden-Domed Monastery and Mezhyhirya Residence Museum capture your imagination. Step out of Kiev to go to Novi Petrivtsi and see Battle for Kyiv 1943 National Museum, which is approximately 44 minutes away. The adventure continues: hit the best photo ops around with an inspiring photography tour, take in the architecture and atmosphere at St. Andrew's Church, appreciate the history behind Rodina Mat (Motherland), and take in the spiritual surroundings of Brodsky Synagogue. To find traveler tips, other places to visit, and tourist information, go to the Kiev tour builder app . Traveling by train from Vinnytsya to Kiev takes 2.5 hours. Alternatively, you can do a combination of flight and shuttle; or drive. In July, daytime highs in Kiev are 31°C, while nighttime lows are 19°C. Finish your sightseeing early on the 15th (Mon) so you can travel to Kharkiv. Eschew the tourist crowds and head to Krasnokutsk Arboretum and Church of St. Stanislav. Let the collections at Ilya Repin Museum and Palladium capture your imagination. There's lots more to do: tour the pleasant surroundings at Gorky Central Park of Culture and Leisure, see the interesting displays at Marine Museum, get a taste of the local shopping with Avek, and take an in-depth tour of Museum of Archaeology and Ethnography. For where to stay, reviews, and tourist information, go to the Kharkiv trip planner. Traveling by combination of shuttle and flight from Kiev to Kharkiv takes 4 hours. Alternatively, you can take a train; or drive. In July, plan for daily highs up to 31°C, and evening lows to 18°C. Wrap up your sightseeing on the 19th (Fri) early enough to drive to Dnipropetrovsk. Step off the beaten path and head to Holy Trinity Cathedral and Faeton Retro Cars Museum. Get some cultural insight at Motor Sich Aviation Museum and Scythian Stan Open Air Museum. Change things up with these side-trips from Dnipropetrovsk: Zaporizhzhya (Museum of the History of Weapons, Museum Of Navigation Chaika, & more) and Church of St. Nicholas (in Dniprodzerzhynsk). To see photos, other places to visit, ratings, and other tourist information, use the Dnipropetrovsk trip itinerary maker . Getting from Kharkiv to Dnipropetrovsk by car takes about 3 hours. Other options: take a train; or take a bus. In July, daytime highs in Dnipropetrovsk are 34°C, while nighttime lows are 19°C. Wrap up your sightseeing on the 23rd (Tue) to allow time to travel to Odessa. Let the collections at Sudkovsky Seascape Painting Museum and Museum of Interesting Science capture your imagination. Get some cultural insight at Ascension Cathedral and Ioannes Suchavsky Underground Church. Explore Odessa's surroundings by going to Suvorov Military and History Museum (in Ochakiv) and Bilhorod-Dnistrovskyi (Greek Church, Akkerman Fortress, & more). There's much more to do: make a trip to Deribasovskaya Street, get curious at Paleontologic Museum, pause for some serene contemplation at Spaso-Preobrazhensky Cathedral, and take in the spiritual surroundings of Arabic Cultural Center. To see photos, reviews, ratings, and more tourist information, refer to the Odessa planner . Traveling by flight from Dnipropetrovsk to Odessa takes 6 hours. Alternatively, you can drive; or do a combination of train, taxi, and flight. In July, daily temperatures in Odessa can reach 32°C, while at night they dip to 22°C. Wrap up your sightseeing on the 27th (Sat) to allow time to travel to Istanbul. Popular historic sites such as Basilica Cistern and Suleymaniye Cami are in your itinerary. Museum-lovers will get to explore Topkapi Palace and Kariye Museum (The Chora Church). There's lots more to do: take an in-depth tour of Hagia Sophia Museum / Church (Ayasofya), wander the streets of Sultanahmet District, explore the world behind art at Istanbul Modern Museum, and take in the spiritual surroundings of Sultan Ahmed Mosque. For more things to do, other places to visit, where to stay, and other tourist information, refer to the Istanbul road trip tool . Getting from Odessa to Istanbul by flight takes about 5 hours. Other options: do a combination of flight and shuttle; or drive. The time zone difference when traveling from Odessa to Istanbul is 1 hour. In July, daytime highs in Istanbul are 34°C, while nighttime lows are 23°C. Finish up your sightseeing early on the 2nd (Fri) so you can travel to Goreme. Güvercinlik Vadisi (Pigeon Valley) and Goreme Acikhava Muzesi will appeal to history buffs. Do some cultural sightseeing at Goreme National Park and Uchisar Castle. You'll find plenty of places to visit near Goreme: Ihlara Valley (in Guzelyurt) and Derinkuyu Yeralti Sehri (in Derinkuyu). Spend the 5th (Mon) floating through the air with a balloon tour. There's lots more to do: explore by horseback at Cemal Ranch Horse Riding Center, take in the dramatic natural features at Zemi Valley, contemplate the long history of Zelve Open Air Museum, and explore the fascinating underground world of Kaymakli. For traveler tips, where to stay, and more tourist information, read our Goreme tour builder . Do a combination of flight and taxi from Istanbul to Goreme in 4 hours. Alternatively, you can do a combination of shuttle, flight, and taxi; or drive. Expect a bit warmer weather when traveling from Istanbul in August: highs in Goreme hover around 38°C, while lows dip to 19°C. Finish your sightseeing early on the 7th (Wed) to allow enough time to travel to Antalya. Get a sense of the local culture at Antalya Muzesi and Phaselis Antique City. Popular historic sites such as Greek Amphitheater and Perge Ancient City are in your itinerary. 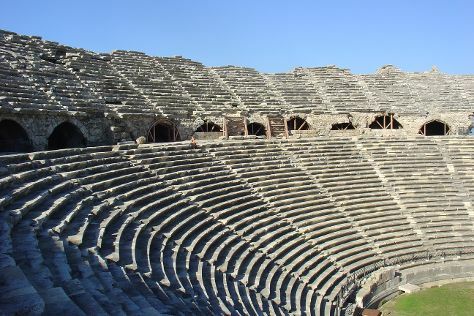 Change things up with these side-trips from Antalya: Side Museum (in Side), Aspendos Ruins and Theater (in Serik) and Olympos Ruins (in Olympos). There's still lots to do: delve into the distant past at Hadrian's Gate, ponder the design of Dancing Fountains, take in the dramatic scenery at Kursunlu Waterfalls, and go for a stroll along the water at Harbour District/ Antalya Marina. To see ratings, photos, reviews, and more tourist information, read our Antalya planner . Traveling by combination of taxi and flight from Goreme to Antalya takes 5 hours. Alternatively, you can drive; or take a bus. Traveling from Goreme in August, expect a bit warmer with lows of 28°C in Antalya. Wrap up your sightseeing on the 11th (Sun) early enough to travel to Selcuk. Celsus Kutuphanesi and The Basilica of Saint John will appeal to history buffs. Do some cultural sightseeing at Ancient City of Ephesus and Ephesus Museum. Venture out of the city with trips to Tire Kent Muzesi (in Tire) and Odemis (Golcuk Golu & Birgi AydInoglu Mehmet Bey Camii). There's still lots to do: explore the ancient world of Efes Antik Kenti Tiyatrosu, don't miss a visit to Arcadian Way, step into the grandiose world of Keci Kalesi, and contemplate the long history of Public Latrine. To find maps, more things to do, ratings, and other tourist information, read our Selcuk holiday planner. You can do a combination of flight and train from Antalya to Selcuk in 3.5 hours. Other options are to drive; or take a bus. In August, daily temperatures in Selcuk can reach 41°C, while at night they dip to 26°C. Finish your sightseeing early on the 16th (Fri) to allow enough time to drive to Marmaris. Kaunos and Lycian Rock Tombs will appeal to history buffs. Explore hidden gems such as Dalyan Nehri and Dalyan. Change things up with these side-trips from Marmaris: Dalyan (Dalyan Cami & Gallery Iz), Yatagan (Stratonikeia Ancient City & Lagina) and Stratonikeia Antik Kenti (in Mugla). Spend the 19th (Mon) among aquatic life with a scuba or snorkeling tour. It doesn't end there: step into the grandiose world of Marmaris Museum and explore the ancient world of Loryma. For where to stay, maps, other places to visit, and other tourist information, read Marmaris trip itinerary app . Drive from Selcuk to Marmaris in 3 hours. Alternatively, you can take a bus; or do a combination of train and bus. Expect slightly colder weather when traveling from Selcuk in August: highs in Marmaris hover around 38°C, while lows dip to 24°C. Finish your sightseeing early on the 20th (Tue) to allow enough time to drive to Fethiye. Discover out-of-the-way places like Scuba & Snorkeling and Kaputas Beach. Kayakoy and Xanthos Antik Kenti are good opportunities to explore the local culture. Venture out of the city with trips to Oludeniz (Ecclesia Catamaran Sailing Trips & Babadag). The adventure continues: delve into the distant past at Tlos, soak in style at Turkish baths, contemplate the long history of Old Town, and stop by Anadolu el Sanatlari. To see photos, where to stay, and tourist information, read Fethiye holiday planner . Getting from Marmaris to Fethiye by car takes about 2 hours. Other options: take a bus. In August, daytime highs in Fethiye are 38°C, while nighttime lows are 24°C. Wrap up your sightseeing on the 24th (Sat) early enough to travel to Roseau. 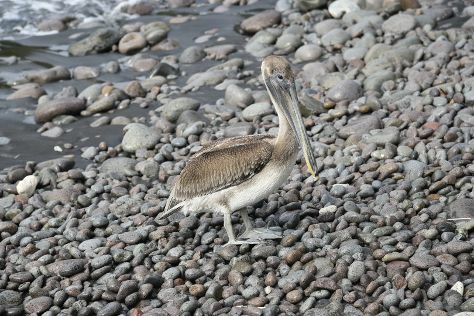 Explore hidden gems such as Soufriere Scottshead Marine Reserve and Scuba & Snorkeling. Get out of town with these interesting Roseau side-trips: Scott's Head Pinnacles (in Scotts Head) and Morne Trois Pitons National Park (Emerald Pool Nature Trail & Boiling Lake). Next up on the itinerary: get a dose of the wild on a nature and wildlife tour, admire the sheer force of Trafalgar Falls, and see majestic marine mammals with a dolphin and whale watching tour. To see more things to do, ratings, photos, and other tourist information, you can read our Roseau trip planner. Use the Route module to find suitable travel options from Fethiye to Roseau. The time zone difference when traveling from Fethiye to Roseau is minus 7 hours. Wrap up your sightseeing on the 28th (Wed) early enough to travel back home.